The FocusVape Pro S is a portable herbal vaporizer and an upgraded version of the original FocusVape Pro Vaporizer. Featuring the same design, the Pro S is constructed with a more durable aircraft grade aluminum shell. With the ability to adjust the temperature from 80°C-240°C and 176°F-464°F in increments of 1°. 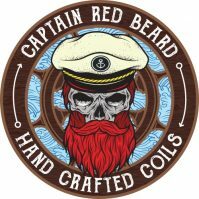 This allows fine tuning to get the perfect vape. The vaporizer has a vibration notification to let you know when the device is ready for you to vape. It typically takes around 20-30 seconds for the device to reach the preferred temperature. 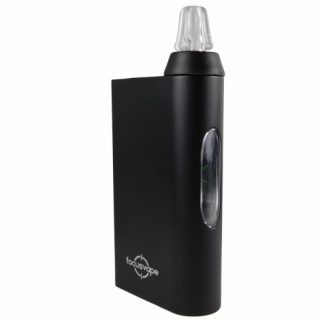 The Focusvape Pro S uses a ceramic oven heating chamber to heat the up the herbs. 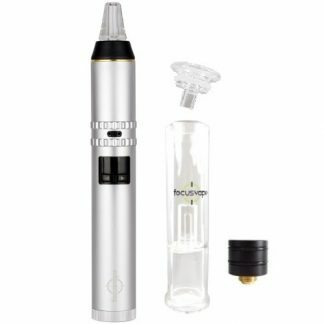 With an adjustable airflow control system, the Focusvape Pro S gives efficient vapor production by adjusting the airflow to your preference. The OLED screen on the device makes adjusting the temperature easy, and it shows the current temperature until it reaches the preferred temperature. 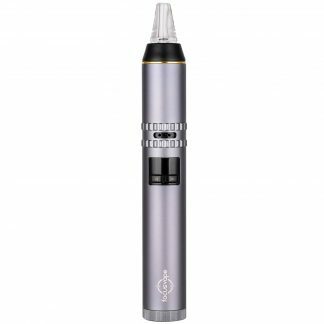 This is your ideal portable vaporizer offering no combustion and works perfectly with dry herbs, and even tobacco. It includes a new two piece water bubbler that you can attach to the vaporizer, with the hydro adaptor. 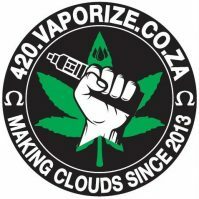 If you wanted a smooth and clean hit, nothing beats vaping herbs with water filtration system giving you a cool and clean vape. 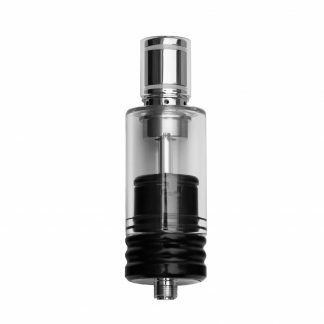 The drip tip is a Borosilicate glass mouthpiece that can be easily removed from the device. 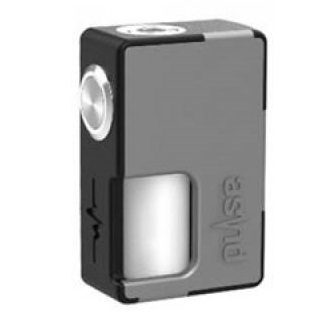 The device is powered by a single 18650 battery and the kit includes a Samsung 3200mAh battery. Using an external battery is a convenience in allowing you replace the battery once the device wears out, unlike device with internal batteries. It can be charged using an external 18650 charger or through the micro-USB port. To turn on the device, pressing any of the two buttons three times within two seconds and turning off the device by holding down both buttons for two seconds. Adjusting the temperature is self-explanatory by using the buttons. To change the degree from °C to ° F or °F to °C, remove the battery and once you turn on the device again, it allows you to choose. The Pro vaporizer will remember the last temperature setting used unless the battery was removed.